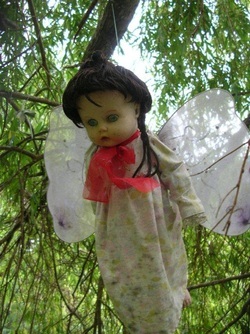 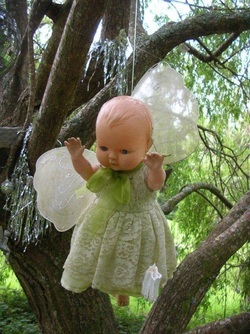 Installation of dolls, toys, teeth, fairies, sparkly things in a weeping willow tree. 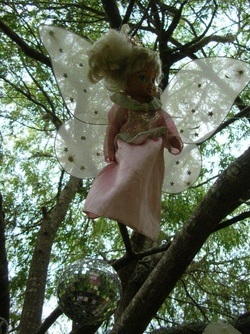 This installation is based on the “Fairy Garden” we had at home when I was a child. 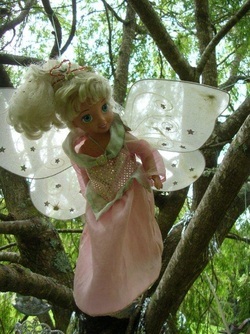 As a child I used to imagine what it was like for all the fairies inside the moss and fern covered scoria rock grotto. 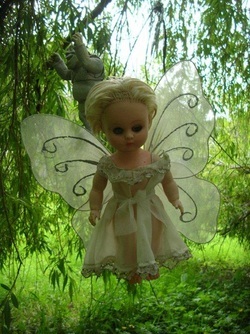 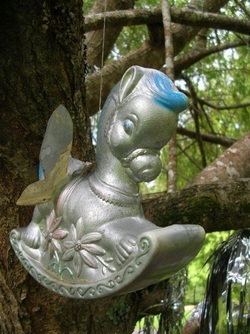 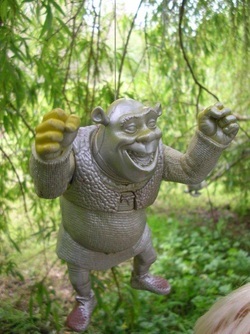 I have created a secret fantasy fairy garden inside the overhanging branches of the weeping willow tree. 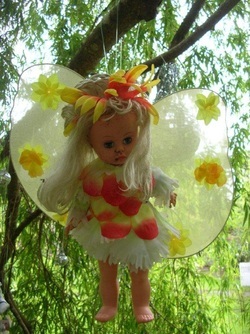 I have added wings to some of my childhood dolls and they fly around on their teeth finding missions. 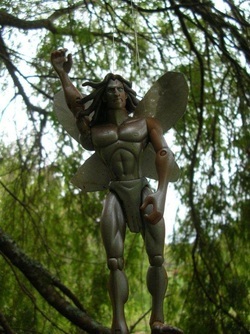 Children's hero's in the form of plastic toys have had fairy wings added to turn them into fairy superheroes. 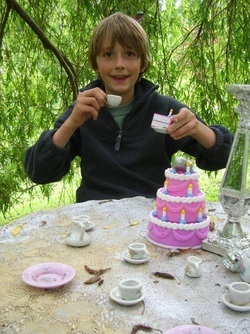 Young and old have enjoyed the tea party with miniature fairy sized china tea cups, saucers and cakes.